Best place to Farm Embersilk Cloth is on the Twilight Shore between Highbank and Dragonmaw Port – killing Axebite Marines ( for Alliance – assuming for horde it would be Highbank Marines. I found that the respawn rates for the Fire and Water are ok as you just move around the zones. 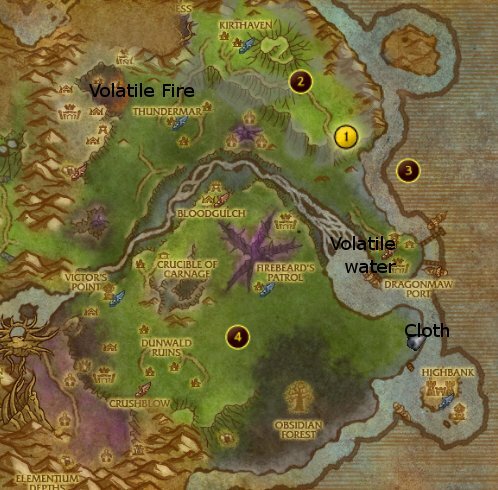 There might be better places, but these are the areas I found to be the most convenient, with a decent drop rate, and because the initial questing frenzy seems to have calmed down the zones are not populated often – so mobs are free and clear.